Kids love to learn. You know this, because you’ve seen your kids over and over picking up new skills that you never expected. Just think about learning to walk – they pretty much pick it up all on their own! And next thing you know, they’re talking and singing and just amazing you in so many ways. It’s obvious kids have an ability to learn quickly, and retain what they’ve learned, at a very early age. This means that you should make the most of this time to help them to learn as much as they can, challenging them every day. Jigsaw puzzles and other educational puzzles are one of the best ways to foster learning, creativity, and development while building problem-solving skills that will last a lifetime. Jigsaw and other online puzzles for kids encourage repeated attempts to solve the puzzle. You might think, in the face of so much opinion to the effect that kids should never be allowed to fail, that not getting it right on the first time is a bad thing. It’s not – if a child can return, over and over, to a puzzle that he or she has failed to solve, it strengthens his or her ability to accept failure and encourages them to try again. It reinforces the concept that “first failure” isn’t “final failure.” When your child enters the real world, he or she will likely try and fail many times. Educational puzzles online encourage him or her to continue and not give up. It’s worth noting, too, that many careers require a lot of effort – dancing, writing, acting, etc. – and failure as to be expected. Online puzzles for kids encourage repetition to reach a goal even after failure – your child might not get it right on the first, second, or even third try, but with persistence, the problem will be solved. When your kids do puzzles, they learn how to observe (“what exactly is going on here?”), hypothesize (“how am I going to achieve the desired result?”) and test (“I’ll try this and see if it works”) and finally, conclude (“did my attempt work?”) By doing educational puzzles, your kids are absolutely preparing themselves for problems that they’ll encounter later in life. 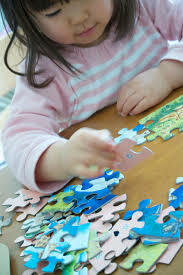 Online jigsaw puzzles for kids also encourage the development of motor skills. They need to learn how to use a mouse to pick up small pieces on the screen, interlock the various components, and click, drag and type effectively. When solving jigsaw puzzles online, kids can benefit from a few tips and tricks. 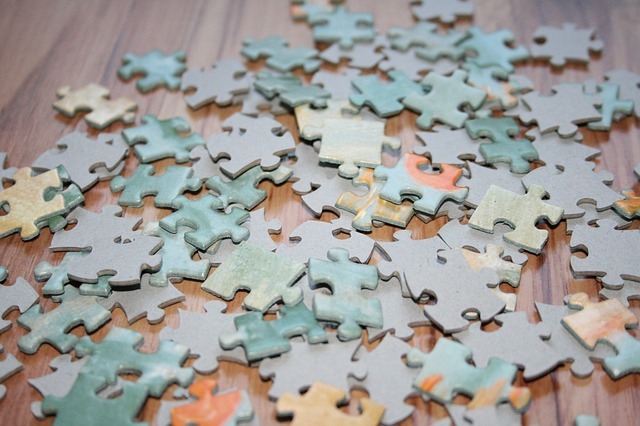 One of the best ways to build a jigsaw puzzle is to build the outside first. The procedure is the same with an online jigsaw puzzle as it is with one that you actually take out of a box and put together on a table. First, sort through all the pieces in the virtual puzzle box, and take out all the pieces that have straight edges. Now, find the ones that have corners. If you have to, you can use the picture on the box to give you a better idea of where the pieces go, but it’s more fun and challenging to do it on your own. Now, place the corners correctly, and find the other straight edges. Make a frame for the puzzle using the straight edges, and paying attention to what colors look like they’ll go together. Now, look at other pieces of the puzzle, and try to decide which pieces might make a complete section. For instance, are you building a picture of a brick house? Look for pieces that appear to have sections of brick. Is there a blue sky? Look for blue pieces. Separate the pieces according to section and try to build your picture accordingly. When you’re thinking about jigsaw puzzles for your kids, it really doesn’t matter whether they’re doing them on a computer or on a table. The main thing is that they can benefit from these educational puzzles – they’ll learn patience, problem-solving skills, logical thought, and improve their motor dexterity. In short, puzzles help kids learn. You can find a number of awesome jigsaw and other puzzles for your kids at TurtleDiary.com.